A few days ago President Vladimir Putin attended a ceremony to mark the commencement of work on the modernization of the Trans-Siberian railway where he laid a “silver spike” to a section of railway on the line extending from Taksimo to Lodye. It was meant to symbolize the start of construction of the new railway line of BAM (Baikal-Amur Mainline). Thus, work on the construction of the eastern railway, launched in 1891, continues successfully to this day and will no doubt continue in the future in accordance with the new requirements for speed and volume of freight traffic. The Trans-Siberian was originally built to serve as a link between the European part of Russia to Siberia, and then on to the Far East and had primarily a military strategic importance, and then economic. Construction began on the Baikal-Amur line development of East Siberian and Far Eastern routes of the Trans-Siberian before the Second World War, but due to circumstances, extensive construction has gone on here since 1974. BAM was constructed as a promising railway system for subsequent industrial development in areas of East Siberia and the Far East that are rich in mineral deposits and resources. In the 90s, when industrial development in the Russian Federation was virtually collapsing, BAM lost its value (temporarily). Presently, according to “Strategy 2030”, the BAM line will be transferred to serve as the main route for freight traffic, while the Trans-Siberian line will serve as the route for container and passenger traffic. The main objective in the modernization of the Trans-Siberian railway will be to increase its high-speed capacity and the acceleration of its transport connections. In the future, this enormous railway network connecting East Asia (China, North and South Korea project) and the EU can be regarded as one of the opportunities for diversification of marine transit trade between East Asia and Europe. With regards to the BAM line, President Putin said: “In the mid-2000s … it became obvious that there was a high demand for BAM.” Carrying capacity for the line is currently approximately 16 million tons, but due to infrastructure limitations there is an acute shortage of freight capacity and carrying capacity. It is predicted that by 2020 the volume of freight traffic along the BAM line will increase three times and passenger traffic will increase by 18%. The prospects for this railway line are associated with the construction of new sections of line towards Yakutia where there are mineral deposits and the development of ports in Vanino and Sovetskaya Gavan. At the moment, the transport balance of the BAM line is dominated by the export of coal, (South Yakutia basin, in particular Nerungri) of ore (Korshunov deposit) and of lumber products (centers in Ust-Ilim, Bratsk and Komsomolsk-on-Amur), in parts, transit to Vanino- Sovgavansky junction there is the exact same specification of goods. In the future (according to the federal website protown.ru) by 2020, due to increased production in both existing commercial enterprises and in addition to the creation of new industries, the growth in the volume of product export will increase 1.9 times. Thus, in the period leading up to 2020, it foresees the development of Elga coal deposit, the GOKov ore deposits at Kuranakhskoe, Chiney and Bolshoi Seyim. On the Elga coal deposit base there are plans to construct a section capacity of 30 million tons per year with a processing plant, allowing the administration to bring coal concentrate and product to 22 million tons. The development of this deposit requires the construction of a railway line stretching 320 km adjacent to the BAM line to the Ulak station. In addition, to increase the freight load along the BAM line requires the Kuranakh deposit titanium-magnetite ore in Tyndenskom near the Amur region which proposes the construction of a mine and processing plant for the production of ilmenite concentrate, titanomagnetite concentrate and with the subsequent construction of a facility at Tynda for processing titanium dioxide. The development of the titanomagnetite deposit at Bolshoi Seyim involves the extraction of ore with the further processing of titanium and magnetite concentrates. Chiney and Udokan copper-platinum ores will not only ensure the production of copper in the country, but also silver, platinum, gold and other rare and precious metals. The BAM line will also increase the load of the Komsomolsk Oil Refinery “NK- Rosneft”. The roadblock in the BAM line’s trade potential for export to the Asia Pacific countries is limiting infrastructure on the route in the ports Vanino and Sovetskaya Gavan, namely, the intersection of the railroad of Sikhote-Alin in the region of Kuznetsovsky pass. 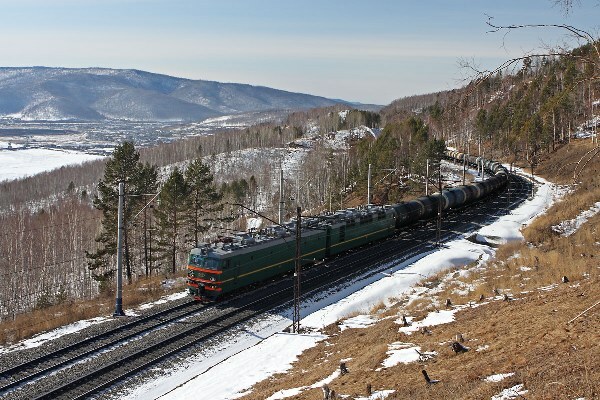 At the moment, due to this section of the railway (with a grade rise of 27%) on the Komsomolsk-Sort-Toki route, the weight norm is restricted to 3600 tons. Currently the line provides transportation for cargo in the ports of Vanino and Sovetskaya Gavan in the amount of 8.10 million tons per years with 280 km in the direction already in 2006 there was no reserve carrying capacity. Overcoming this bottleneck will significantly increase the export potential of BAM. The Ministry for Economic Development of the Russian Federation has received an application of Russian Railways to the Investment Fund for a project on the reconstruction of Oune – Highland Kuznetsovsky and the construction of a new tunnel at Komsomolsk-on-Amur – Sovetskaya Gavan. The project will help remove infrastructural constraints in the transport of cargo, including Elga coal to the ports of Vanino and Sovetskaya Gavan, and later on to Asia-Pacific countries. So, the BAM line is an infrastructure project fulfilling the requirement for the transport of cargo, and, consequently, a significant increase in the exploration of adjacent regions. It serves in the creation of industrial enterprises and railway network in addition to other necessary infrastructure; it attracts labor, the organization of social life, as well as the creation of appropriate quality life of the workforce. 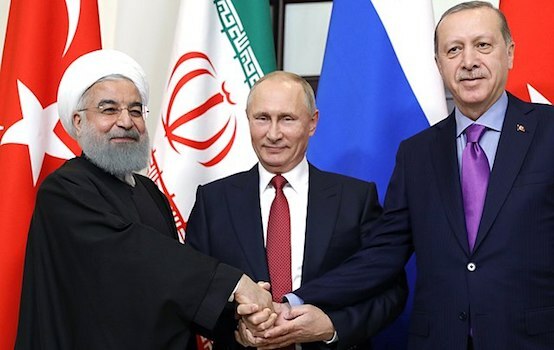 All this is possible only to resolve only with the active participation of the state and the attraction of private capital, both Russian and foreign.